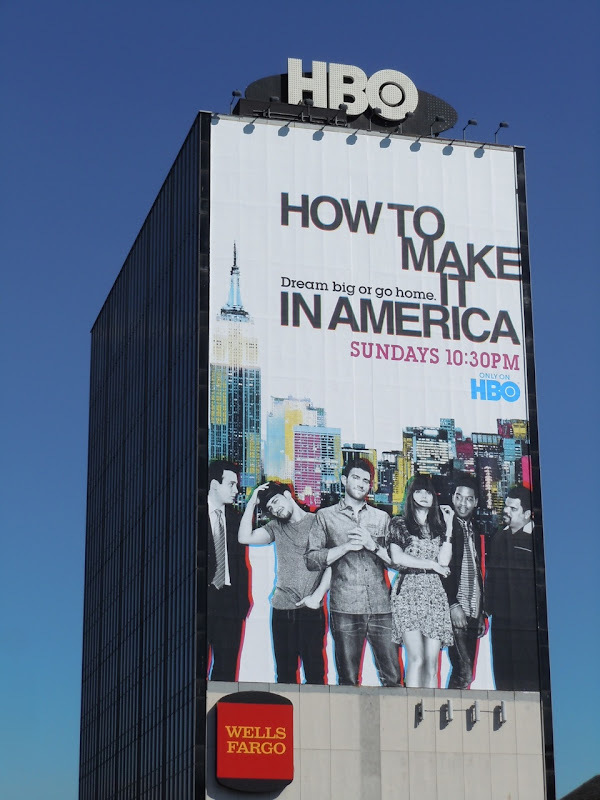 Today you get not one, but two seasons worth of billboards for How to make it in America, the show about entrepreneurial twentysomethings trying to live the American Dream in New York City. 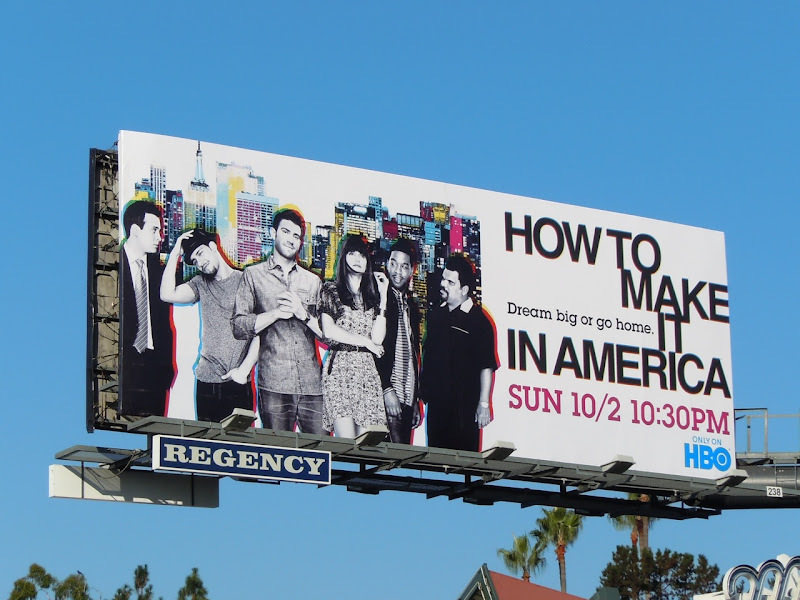 The creative for the second season really stands out with its simple black and white foreground and psychedelic background colours. 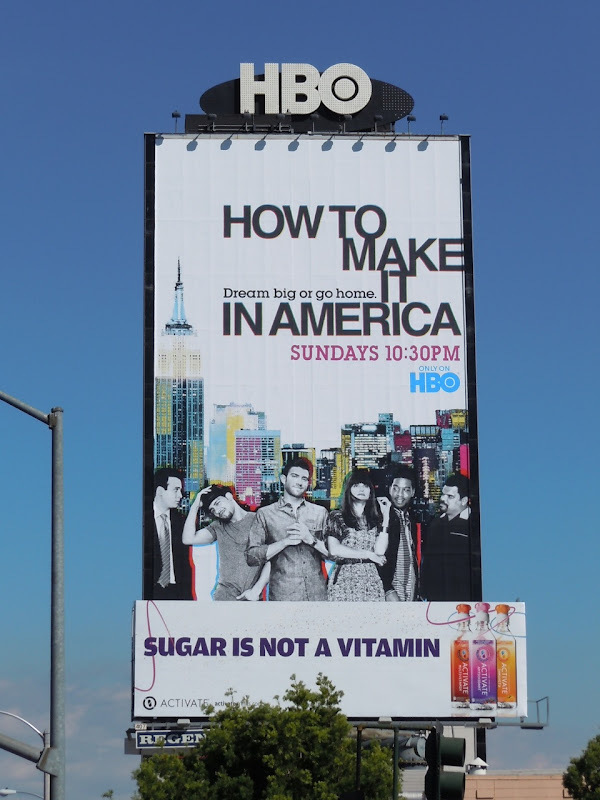 The effect is almost like looking through the old-fashioned paper 3D glasses, which makes the ad almost hard to look at, but totally compelling. 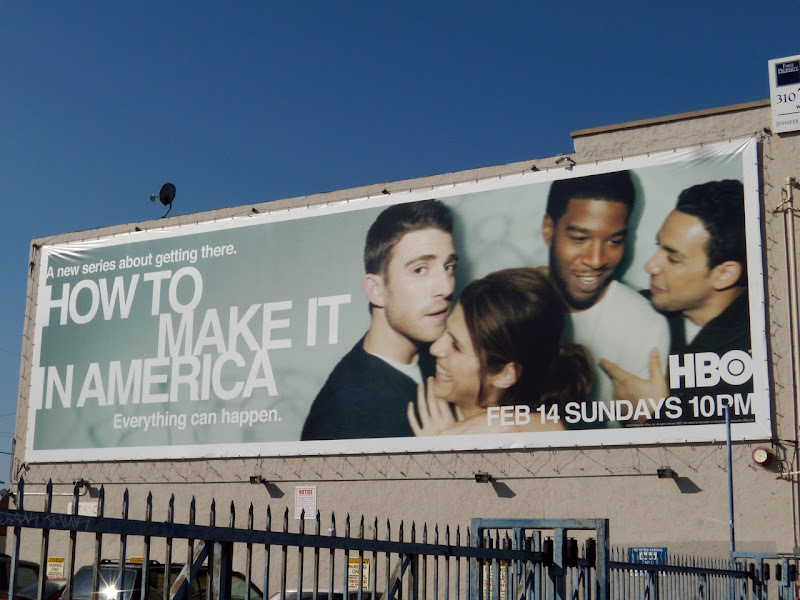 But as you can see from the comedy drama's first season billboard, the show is used to taking unconventional approaches to promote itself. 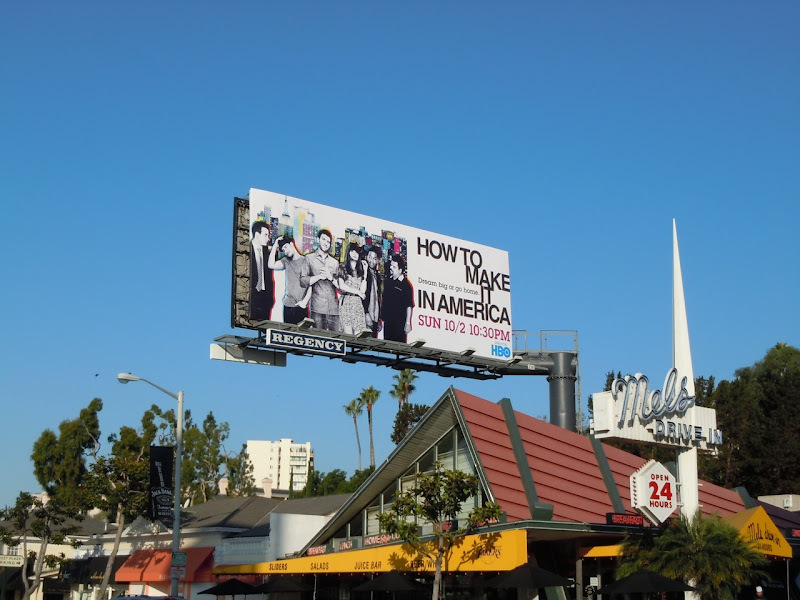 The season one billboard was snapped along Melrose Avenue at La Brea Avenue on February 3, 2010 and the new standard size season two billboard photographed along Sunset Plaza on September 13, 2011. 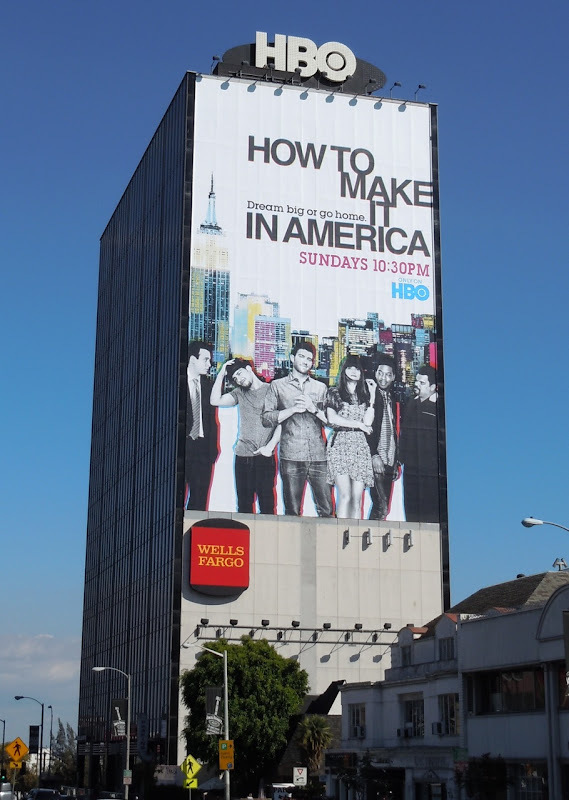 Meanwhile, the giant billboard looks pretty cool towering over Sunset Boulevard on October 6, 2011.